When soprano Claudia Galli first encountered Strauss, it was love at first sight (or, rather, sound). 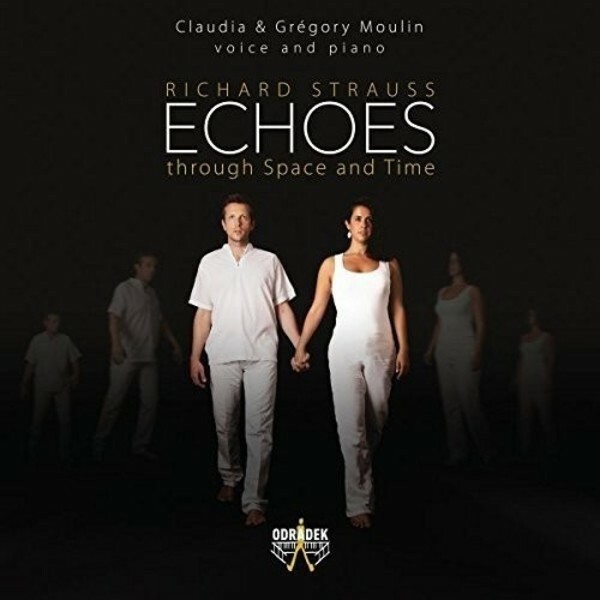 It soon became clear that Strauss should form the foundation of this recital programme, lovingly compiled by Claudia Galli and her duo partner, pianist Gr�gory Moulin. Few composers have achieved the exquisite balance of Richard Strauss�s lieder: between the creamy melodic lyricism of his vocal lines and the intoxicating harmonies of his piano writing; between his sensual relish of earthly pleasures, and his profound insights into ageing and death. Together they have chosen music which combines Strauss�s lieder with those by composers who influenced him - whose traits can be heard as echoes in his music - and by composers whom Strauss influenced in turn. Highlights of the disc include some of Strauss�s most ravishing and voluptuous songs, including Freundliche Vision, with its soaring vocal line and gorgeous harmonies; the ecstatic C�cilie; the glorious Ich wollt� ein Str�u�lein binden; and, as part of a wedding present to his wife, the exquisite Ruhe, meine Seele! There is also the more rarely-heard Leise Lieder - a gem well worth discovering. Amid this feast of Strauss songs is a handful of delectable lieder by Wolf, Brahms, Berg, Zemlinsky and Korngold, each song chosen for its audible relationship with the sumptuous soundworld of Strauss.